Near the old fortified and historic center of Avignon, this beautiful contemporary holiday home and its lovely private pool awaits you on 500m² of enclosed and private garden. Near the old fortified and historic center of Avignon, this beautiful contemporary holiday home and its lovely private pool awaits you on 500m² of enclosed and private garden. You will appreciate the big covered terrace equipped with a living room of garden which invites you to good times to share. 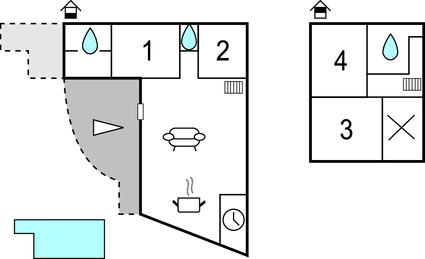 The air-conditioned and pleasant interior is of great comfort and will be ideal for a family or friends. You can enjoy the beautiful city of Avignon and its summer events, especially the famous Festival of Live Arts that will delight all theater lovers. Visit the Petit Palais museum and stroll through Les Halles, discover the impressive Palais des Papes and Pont Saint Benezet, but also little corners of bucolic paradise such as the Rocher des Doms or Ile de la Barthelasse. The Chartreuse of the Val de Bénédiction is also worth a visit, as is the Jardin de l'Abbaye Saint-André. And back to the holiday rental, you will enjoy finding yourself in the large living room or by the pool to spend more time with your loved ones. This beautiful modern villa was originally built in 2014 and refurbished in 2017. The agent has rated it as a four star property so it is a well-equipped villa with above average furnishings. It is also great value for money. 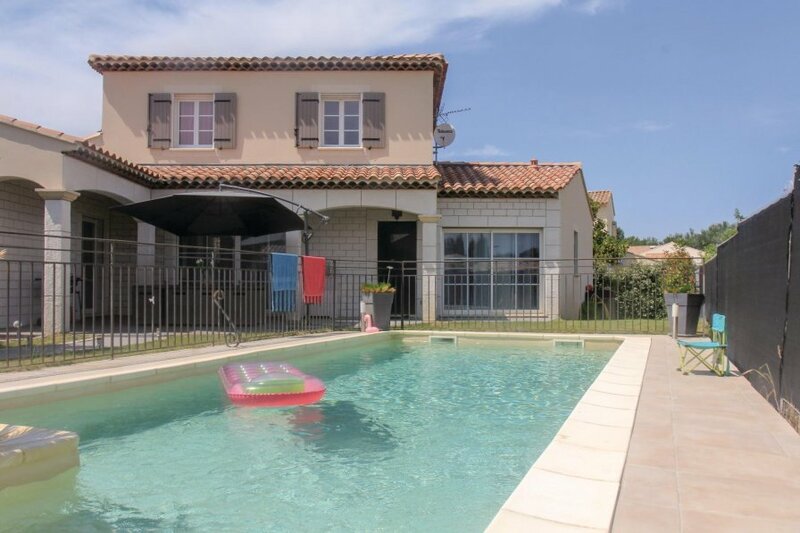 This villa has a swimming pool and is located in Vedène, only 10km from Avignon. The nearest airport is 74km away. It is set in a good location: there is a restaurant 1.5km away.